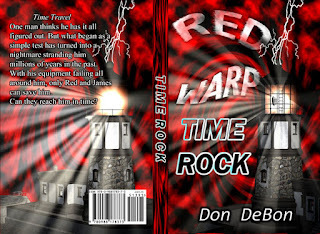 Don's Dimensional Shift: Time Rock Print Edition is out! Time Rock Print Edition is out! Time Rock Print Edition is out! But there is still time to lock in 33% off at Amazon B&N or your local bookstore. If you like Sci-Fi and time travel then you won't want to miss this! I don't know when the pre-release sale ends (technically it should have already) so grab your copy before it expires! A balding man wearing only a subligar and waving a branch over his shoulder so that the leaves impacted his back as he approached. His smile could swallow a whale. "Gellius! So glad you could make it today. And who are your friends?" Gellius inclined his head slightly. "Magistrate Nigellus, how could I not come today thank you for your gift." Nigellus waved his hand dismissively. "Why Gellius you are always welcome you know that. Of everyone here today, I am glad you could attend most of all." "You honor me Magistrate Nigellus." "What is with all the formality? Call me Nigellus. I may have payed for the bath today, but that does not mean you need to kiss my feet. Just remember this when I am up for reelection." Nigellus leaned forward lowering his voice to a notch above a whisper. "Which incidentally is next week." Gellius' eyes widened as he leaned back in feigned surprise. "Oh is it? I had no idea." Nigellus' smile broadened. "No of course you didn't. And who are your friends?" Gellius' feet shifted uncomfortably on the mosaic encrusted floor. "Well, we just met a little while ago, this is our first trip to Rome. He was nice enough to help us earlier today," James said. Relief washed over Gellius like a great flood. "Yes the lady was not feeling well and I took them to my office." "Sounds like our Gellius here, always trying to help people. I am sure it is why you became a doctor in the first place. I am Nigellus, as you are no doubt now aware, and please remember me at the election." "Someone that would pay for today on such a large scale? We could never forget your generosity. Thank you Magistrate Nigellus." "Please call me Nigellus today, thank you. I am very glad to see your lady is feeling better and you were able to bring her." "Yes I am feeling much better, thank you Nigellus," Red said smiling. "Wonderful, and I assume you have a place to stay tonight?" "No, we had not found a location yet. But we did pass several inns that should suffice." James said holding his right hand on his toga to make sure it did not move out of place. "A inn? That would not be wise for citizens such as yourselves. If you didn't know, most of them are run by pleabean's and not worth your time. I would also be wary of one's possessions in such an establishment. Gellius has a large domus, I am sure he wouldn't mind letting you stay the night. It would be much safer for voting citizens such as yourselves I can assure you. Right Gellius?" "Of course Magistrate Nigellus. They are most welcome to stay with me for the night." "How many times do I need to tell you, today it is just Nigellus. Well I have many other voters, er citizens to greet, if you will excuse me." Nigellus said as he walked towards another group of people who had entered the tepidarium then turned to speak over his shoulder. "Please enjoy yourselves." "Thank you for putting in a good word for me with the magistrate, now can you tell me why you are here? Who sent you?" Red shook her head. "No one sent us." "I do not believe you. Someone must have. You can tell them I will not do as they asked. And in fact you helped me see that." "Tell who?" James said blankly. 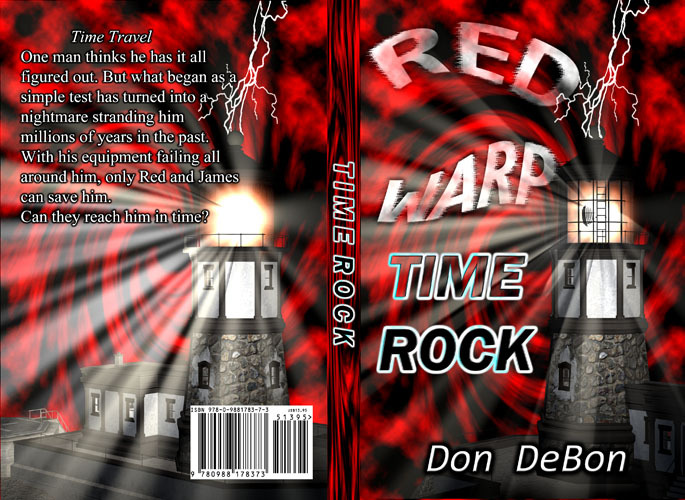 Time Rock Print Edition Releases Friday 26th!